The Original Halo frame just got even better!! 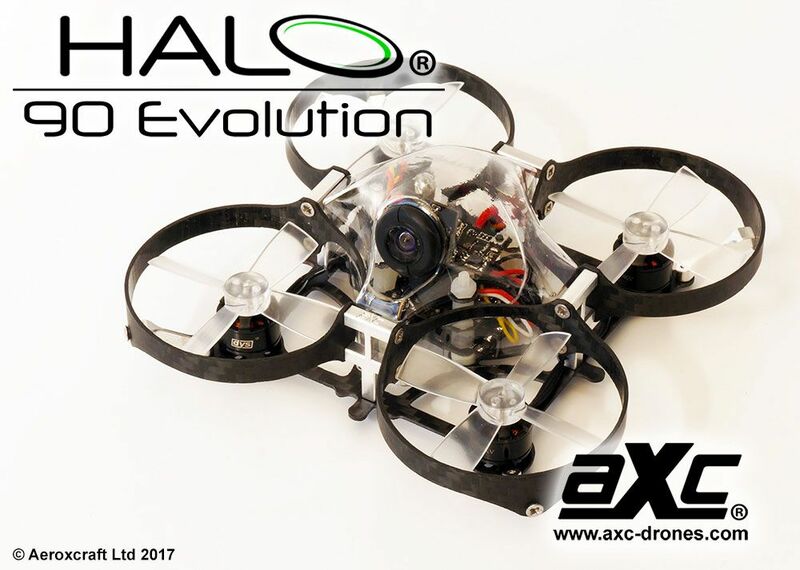 The Halo 90 Evolution is a tough and lightweight 90mm FPV platform with built in prop and motor protection. The 3K Carbon Fibre Hoops that envelope the props are integral to the Halo’s structure and provide much of the frames strength and rigidity. 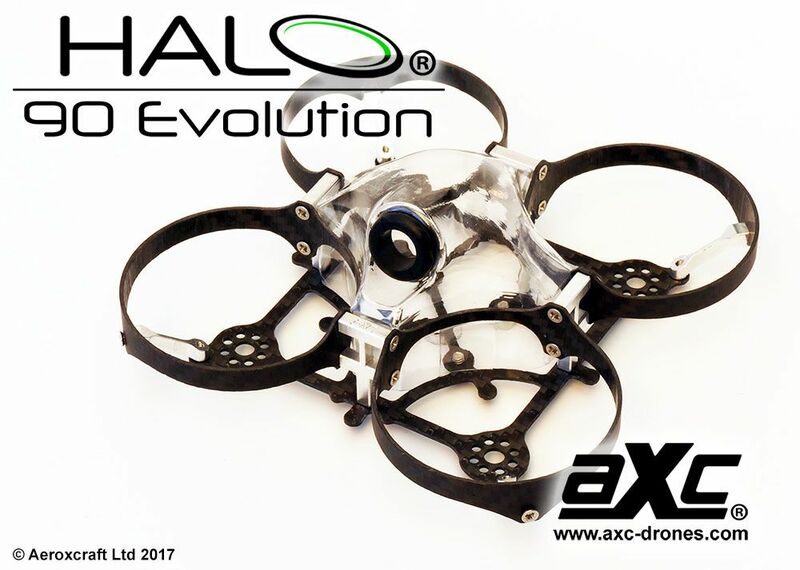 Each and every component of the AXC Halo 90 Evolution has been redesigned from scratch. 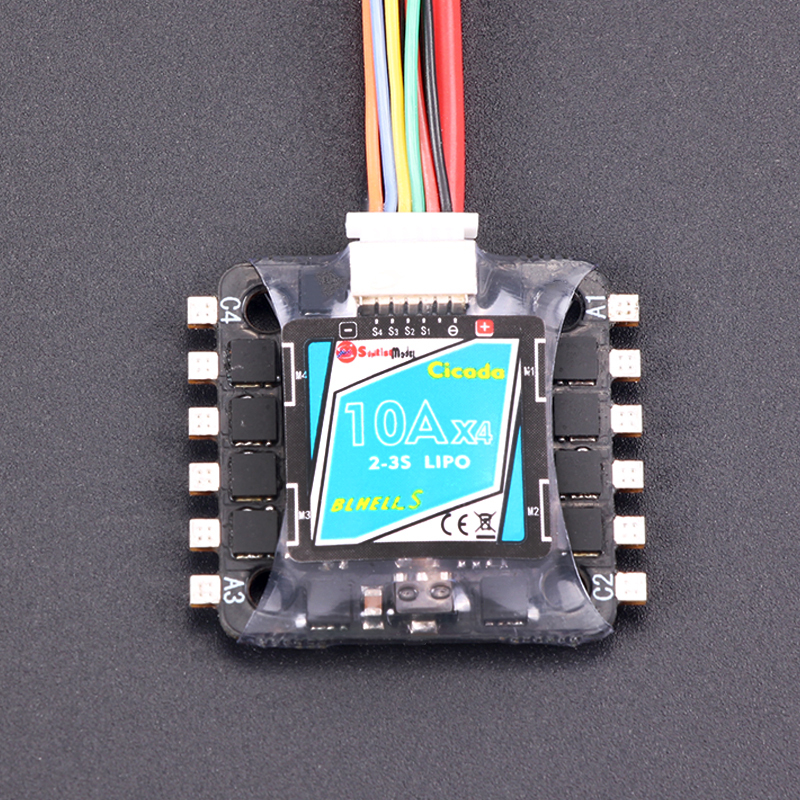 The number of components has been reduced. Every fraction of a gram of weight that could be lost has been identified and removed. 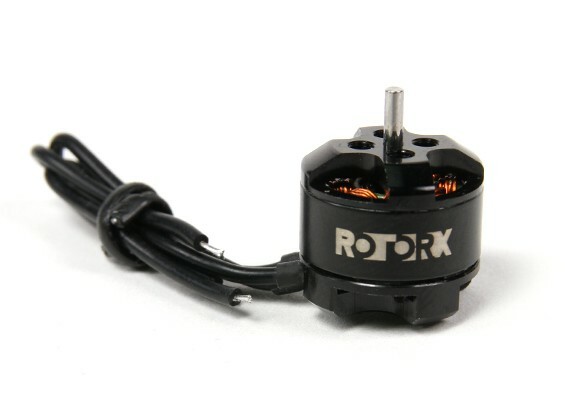 Improvements to the design have been made in all areas including weight saving, prop protection, impact resilience, aerodynamics, battery mounting and dirt ingress. 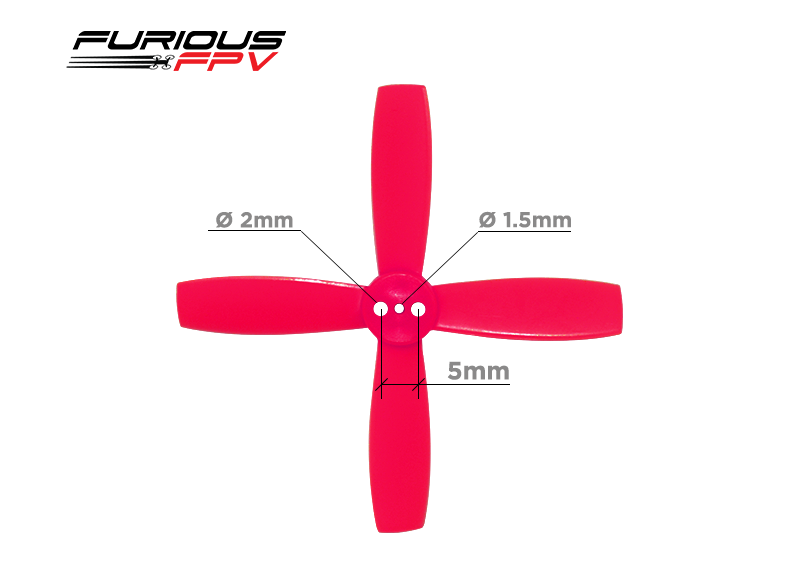 It’s an exciting frame to fly for all FPV’ers from beginners to race hardened experts. • The Hoops and Base Frame are CNC cut from high quality 3K carbon fibre. • All CNC cutting is carried out by ourselves at AXC-Drones in the UK. • All screws holes inside the hoops are counter sunk for use with CSK screws. 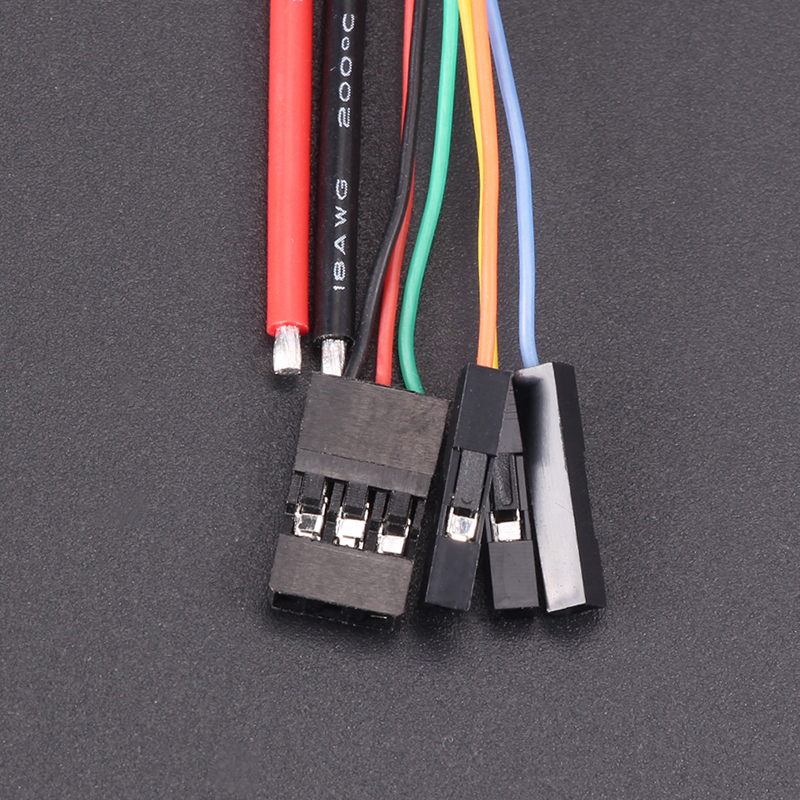 • FPV camera mount is incorporated into the canopy moulding. • The canopy simply clicks into place with no fasteners. It could not be simpler. 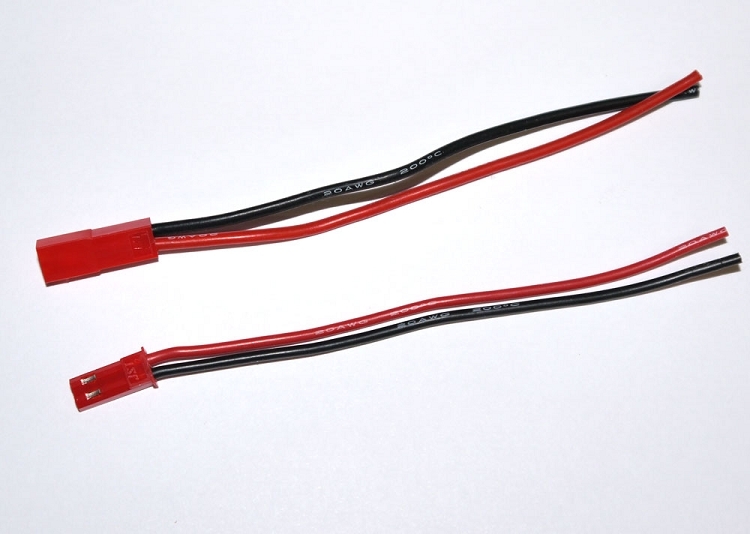 • We use genuine Lexan™ Exell D polycarbnonate that is UV stable and suitable for outdoor use. • We love CNC machining! At AXC we have our own CNC machining facility ensuring the quality of our components is superb. • We machine all our components from aircraft grade billet 6082-T6 aluminium. • Through careful design and state of the art CNC machining we create very strong and lightweight components. • All our screw threads are formed with roll taps for maximum strength and durability. 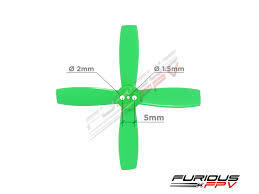 • 90mm Diagonal prop to prop distance. 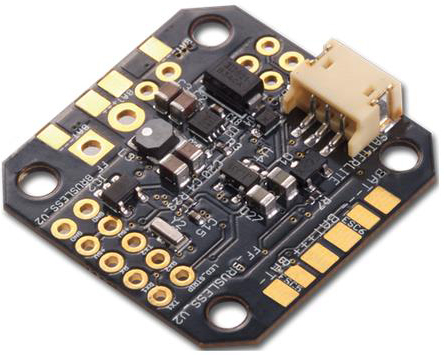 For use with the new generation of small format flight controllers and ESC boards (20mm spaced mounting holes). 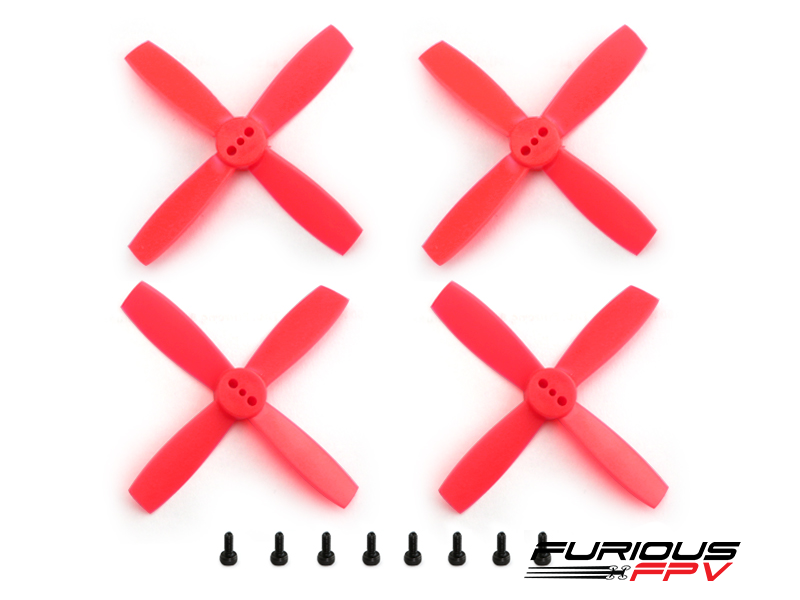 • Full spares availability. If you bust the frame you can replace the broken part rather than replacing the whole frame. 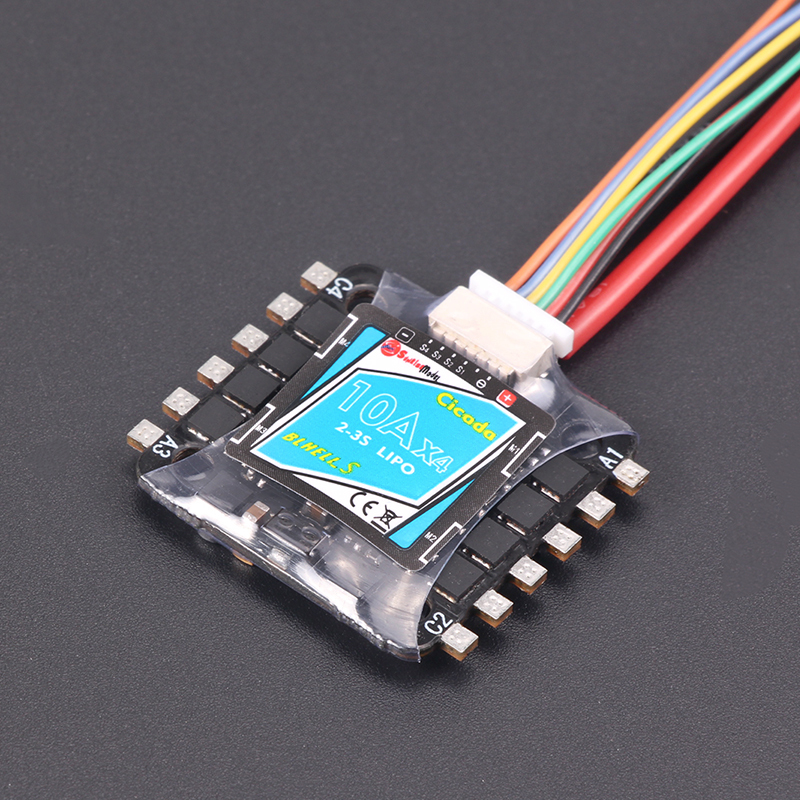 PIKO BLX Micro Flight Controller - Change the Way You FPV. 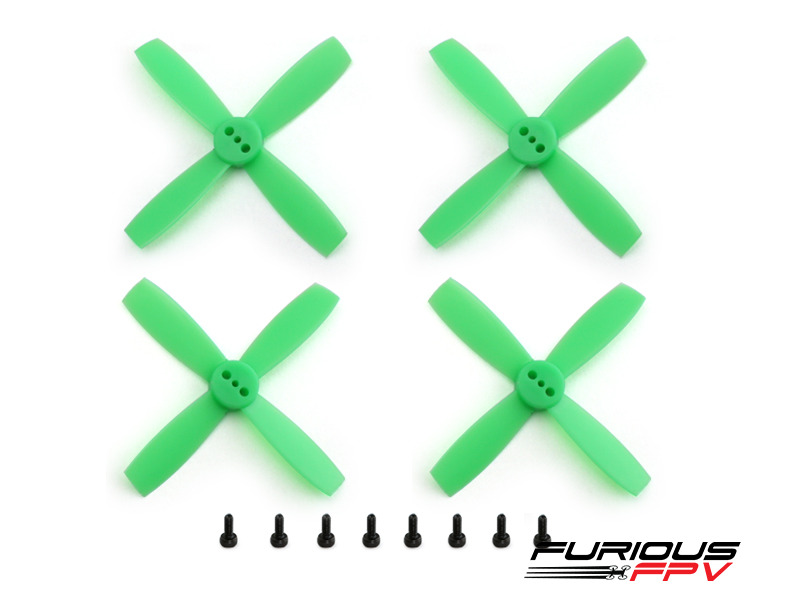 Applicable for 1104 & 1102 motors, be sure to grab a set of Furious FPV 1935-4 propellers.